Babee Greens in Asheville NC turns fine sweaters into adorable baby diaper covers. Their “Longies and Covers” are made from recycling 100% cashmere or 100% merino wool sweaters. Each pair is one of a kind, like the sweater it was made from. 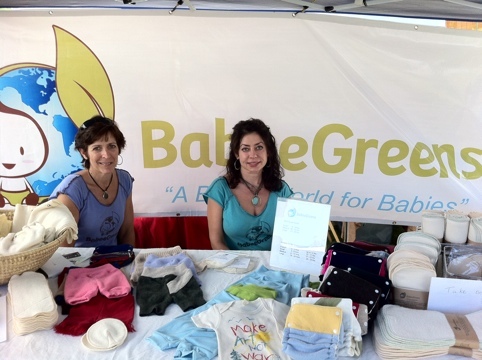 Babee Greens accepts donations of old sweaters – even ones with stains and holes! Sweaters must be 100% wool or 100% cashmere and can be any size. This entry was posted in Baby Gear, Clothing, Reuse, Upcycle and tagged Babee Greens, donate, postaday2011, recycle, sweaters, think outside the bin, Tia Gilbert, upcycle. Bookmark the permalink.